IslandWorld is simple plugin which can replace old inactive project SkyBlock Co-Op. My plugin is highly customizable and configurable. You can run classic version 'skyblock like', after simple change you can make islands on sea or even lava world. From version 7.0 additional features are offered through addons. Head Rank - Ranking using player heads and tables. Shop List - Public list of available on server shops. Challenges - Challenges to do for skyblock players. This plugin has a built-in auto-updater, which connects to BukkitDev to check for updates. If you, for some reason, wish to disable this process, you can do so by setting 'version-check' to false in plugin configuration file. My wife recently purchased this plugin for our server for 1.13.2 Skyblock. I would like to know what I have to do to have multiple island worlds. 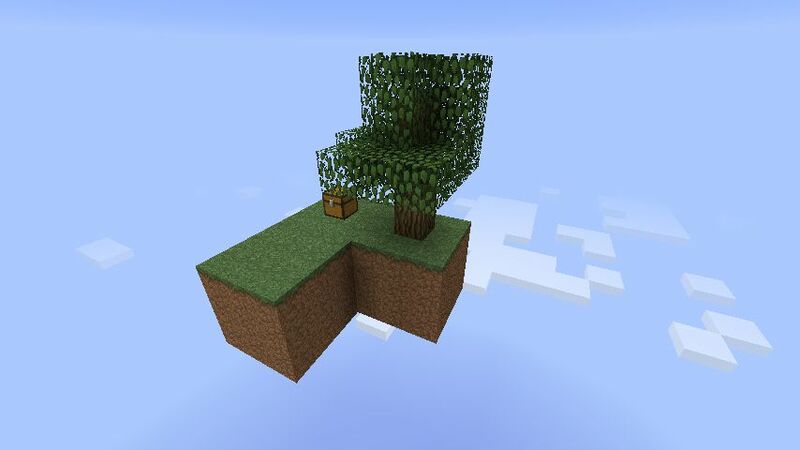 I want a traditional Skyblock experience on one world and a more lenient experience on another. The islands will be different, as well as the island 'plot' size, for the players to expand out from. You must use two different plugins, or separate to two different servers, and join it using bungeecord. afair popular skyblock plugins doesnt have support for more than one world. I get message island must be opened offline what does this mean? I'm looking into a skyblock plugin for my server, does this allow for players to get island extensions? of course. check region spacing, region step config. Hi - do you know if there is any compatible CUSTOM ORE GENERATOR PLUGINS with this skyblock plugin???? Also how can I generate islands in a relatively close distance from each other but in random spots instead of just a straight line? This is really making me mad because I stopped the server, changed the island-y-move and nothing happened. Still spawns in the water for some reason. I've followed every single step you gave and nothing works. Still spawns in the water with no console errors.. When I try to use /is lock or /is unlock, for any OP or non-OP, it says 'Lock is not available on our server'. I want to allow players on my server to grant access for people with a skyblock to also build in their territory, which im assuming /is lock and /is unlock grants me permission to do. I am using the latest version and am wondering what the issue is. As well as this, is there any way to allow players with a skyblock to build in unclaimed skyblock territory? Furthermore, I tried /islandev unlock [player] but non-OP-ed players can still not build on the unlocked player island. # When island is locked only owner and members can enter. Then I tried regenerating the world in Multiverse and deleting the islelist.dat and freelist.dat again then restarting the server and still had the same problem. Island generation seems to work when I set the island size back down to 100 but then the region size cannot be more than 50 blocks which is too close for me. Is this an issue with the plugin or something I have not tried yet with the config? Check how region spacing is working first.